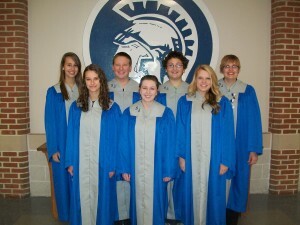 Seven members of the Garden Spot High School Chorus were selected by audition to participate in the LLMEA County Chorus Festival that will be held on Saturday, January 4, 2013 at Elizabethtown Area High School. The participating students are Natalie Ziemer (Soprano I), Hannah Tennis (Soprano II), Kirsten Corneilson (Alto II), Juliana Wardle (Alto II), Emily Weaver (Alto II), Joshua Houck (Tenor I) and Nicholas Skiles (Tenor I). A total of 200 students were chosen to take part in this festival from Lancaster and Lebanon counties, and the guest conductor will be Dr. Robert Bigley from Lancaster Bible College. In addition, Kirsten Corneilson (Alto II), Juliana Wardle (Alto II) and Emily Weaver (Alto II) successfully auditioned and were chosen to attend the District 7 Chorus Festival to be held January 10-11, 2014 at Central Dauphin High School. This 2 day festival, involving 200 students from District 7, will be conducted by Lawrence Doebler, former Director of Choral Activities at Ithaca College. Being chosen for these festivals not only reflects musical talent, but also a willingness to put in much time and effort preparing the music. All of these students are to be commended for their accomplishments! Kirsten Corneilson (Alto II) and Abbi Stoltzfus (Alto II) were chosen for and recently attended the Region V Chorus Festival held at Hamburg Area High School on March 21-23, 2013. This was a 3 day festival involving 200 singers from Region V. The guest conductor was Dr. William Cutter, Director of Choral Programs at the Massachusetts Institute of Technology. Additionally, Kirsten Corneilson (Alto II) and Abbi Stoltzfus (Alto II) were selected, through auditions, to be a part of the Pennsylvania All-State Chorus. The All-State Chorus Festival will take place in Erie, Pennsylvania on April 17-20, 2013. This festival will be attended by the best high school singers from around the the state of Pennsylvania. The conductor for this festival is Dr. Steven Sametz from Lehigh University and the chorus will present a concert on Saturday, April 20 at the Warner Theater in Erie. Being chosen for these festivals not only reflects musical talent, but also a willingness to put in much time and effort preparing the music. 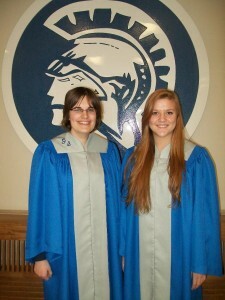 It is a great honor for both Kirsten and Abbi to be a part of these chorus festivals! PMEA District 7 Chorus Auditions were held at Central York High School on Saturday, October 27. Garden Spot High School did very well at these auditions, placing 7 students in this chorus. Congratulations to the following students who will be taking part in the District Chorus Festival to be held at Cumberland Valley High School on February 8-9, 2013. The LLMEA County Chorus is a group of 200 singers chosen from schools in Lancaster and Lebanon counties. County Chorus Auditions were held at McCaskey High School on Saturday, September 29. Garden Spot High School did very well at these auditions, placing 13 Garden Spot students in this chorus. Congratulations to the following students who will be taking part in the County Chorus Festival to be held at Elizabethtown College on Saturday, January 5, 2013. 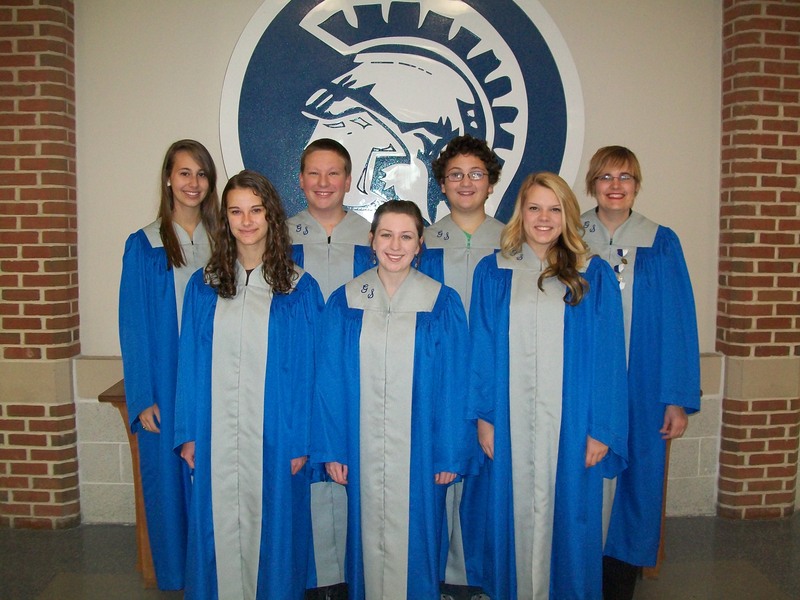 Five members of the Garden Spot High School Chorus were selected by audition to participate in the LLMEA County Chorus Festival that was held on Saturday, January 21 at Lampeter-Strasburg High School. The participating students were Natalie Ziemer (Soprano I), Meghan Skiles (Soprano II), Morgan Martin (Alto II), Bryson Buffington (Bass II), and Sam Tarasenko (Bass II). A total of 240 students were chosen for this festival from Lancaster and Lebanon counties, and the guest conductor for the concert was Dr. John Paul Johnson, professor of Music Education at Wichita State University. One week later, on January 27-28, the District 7 Chorus Festival was held at Northern High School in Dillsburg, Pennsylvania. Four Garden Spot High School students, Natalie Zeimer (Soprano I), Meghan Skiles (Soprano II), Bryson Buffington (Bass II), and Sam Tarasenko (Bass II), were chosen to attend. A total of 200 students were selected for the chorus. The guest conductor for the festival was Dr. Peggy Dettwiler, director of Choral Activities at Mansfield University. 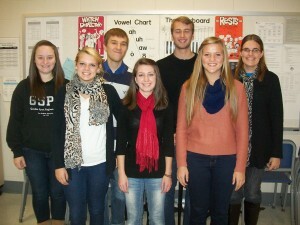 Finally, Bryson Buffington (Bass II) and Sam Tarasenko (Bass II) were also chosen to attend the Region V Sate Chorus Festival held at Waynesboro Area Senior High School on March 8-10, 2012. This was a 3 day festival involving 200 students from Region V. The guest conductor was Dr. Stephen Barr, Director of Choirs at Slippery Rock University of Pennsylvania. Being chosen for these festivals not only reflects musical talent, but also a willingness to put in much time and effort preparing the music. These students are to be commended for their accomplishments! 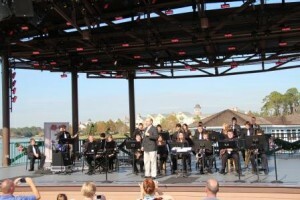 Band Students Perform at Disney World! At 3am on January 5, 2012, 107 marching band students and 21 parents and chaperones traveled and performed in the Magic Kingdom parade for 20-25 thousand people. 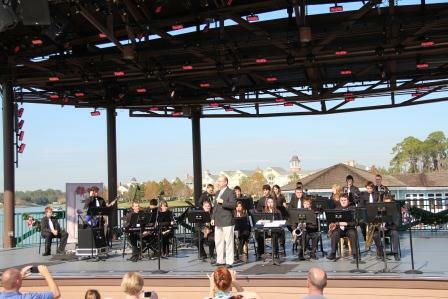 The Jazz Ensemble performed in Downtown Disney for 3000+ people. The entire group stayed in the All-Star Resort on Disney property. They traveled by way of two airplanes – Southwest and Air Tran – and used charter buses from GSHS to Philadelphia Airport and while in Disney. 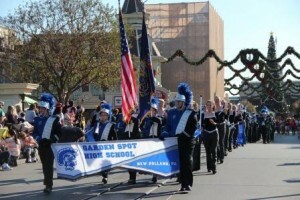 The band arrived back at GSHS on Sunday, Jan. 8, 2012 at 8pm. A parent volunteer drove the tractor/trailer from GSHS to Disney and back with all of the band’s instruments, uniforms and luggage. Students were allowed only one carry-on while traveling on the plane. The weather was perfect! It was in the mid 70’s, very low humidity and not a cloud in the sky! The students were AMAZING during the trip. They were always where they were supposed to be, when they were supposed to be and were always helping each other out with equipment, uniforms and instruments. Our students were the perfect ambassadors to Disney. Myself and numerous chaperones received many compliments regarding our students, their behavior and how friendly they were to everyone. The following students made it into the LLMEA County Chorus. Auditions were September 24 and the County Chorus Festival will take place on January 21. LLMEA County Chorus is a high school chorus made up of 200-240 students from school districts in Lancaster and Lebanon counties. Students must audition to be a part of this group and there are often over 500 students who audition. The County Chorus Festival is the day all 200 students who made it into the chorus get together and rehearse and then present a concert, conducted by a guest conductor who is usually a conductor of a college/university choir. It is a great opportunity for students who work hard in chorus. 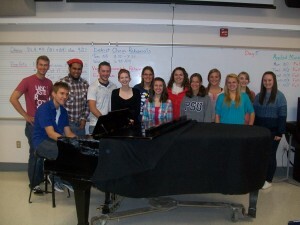 These students get to sing with some other great high school singers and work with a college conductor. The Festival this year will be Saturday, January 21 at Lampeter-Strasburg HS and the guest conductor will be Dr. John Paul Johnson, professor of Music Education at Wichita State University.